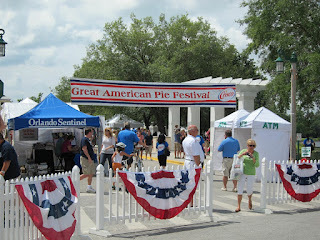 2012 Great American Pie Festival at Lakeside Park in Celebration, FL. This event has so much going on. It is a fantastic event for the entire family. We started out in the kids area. While admission to the event is free there are some activities that charge a nominal fee. In the kids area it was $5 for unlimited access to the inflatables. For another $5 the kids got to do all kinds of pie related activities. They got to make a small pie which is nicely packaged up so they can take it home and bake it. They got to decorate a baked pie crust with frosting and sprinkles and take that home as well. There was a station where the kids could decorate a plate using Smuckers toppings and yet another where the kids decorated chefs hats. There are pie eating contests periodically throughout the day for both kids and adults. At the central stage there was constant entertainment of some kind including musicians, magicians, comedians among other things. Making the rounds throughout the festival you even get characters! Those that I saw were the Pillsbury doughboy, a California raisin and cup of Dunkin Donuts coffee. 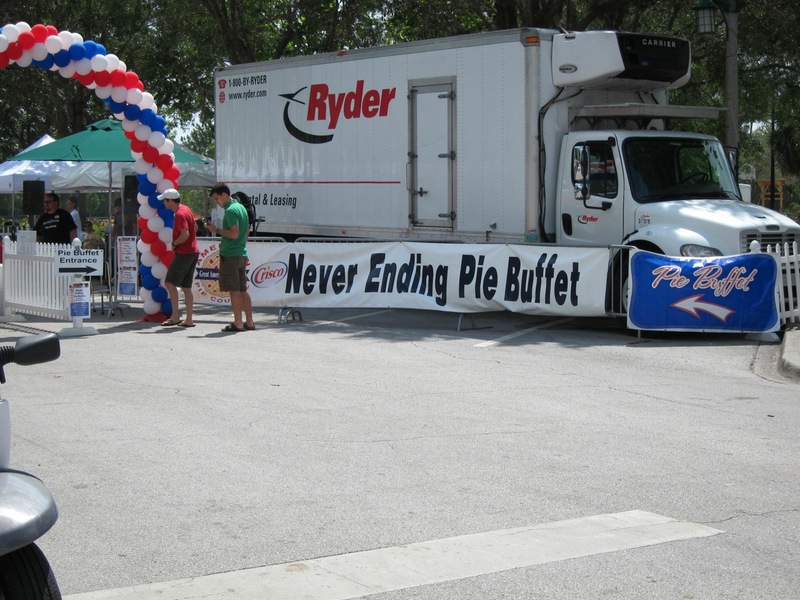 There are the usual purveyors of food and crafts but the highlight of the festival is the Never Ending Pie Buffet! 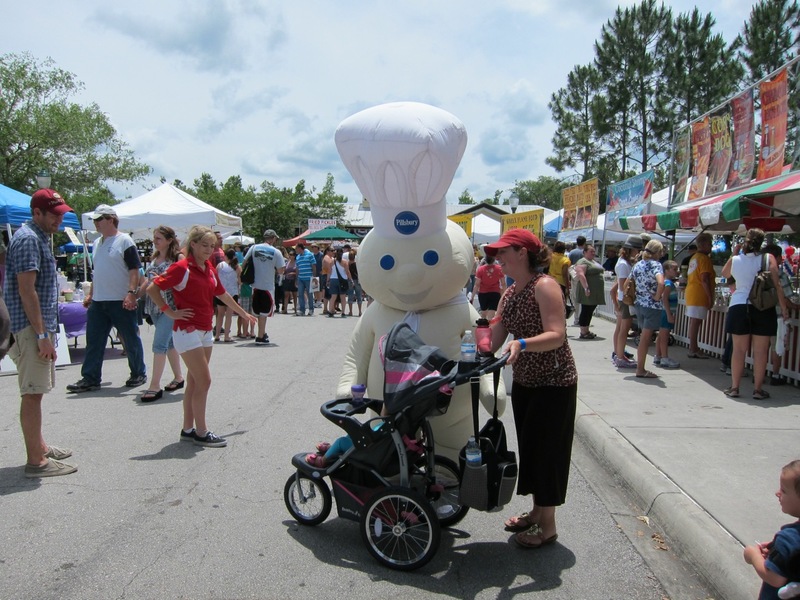 For just $10 per adult and $5 per child you enter the area and sample as many pies as you want. The wrist band allows you in and out of the buffet so you can pace yourself. We went early on, ate some pie, walked it off and then went back and ate more pie! If you did not make it this year be sure to watch for the dates for next years festival at this website: http://www.piecouncil.org. We have not missed it for the past four years and plan to be back for more pie next year. See you there!